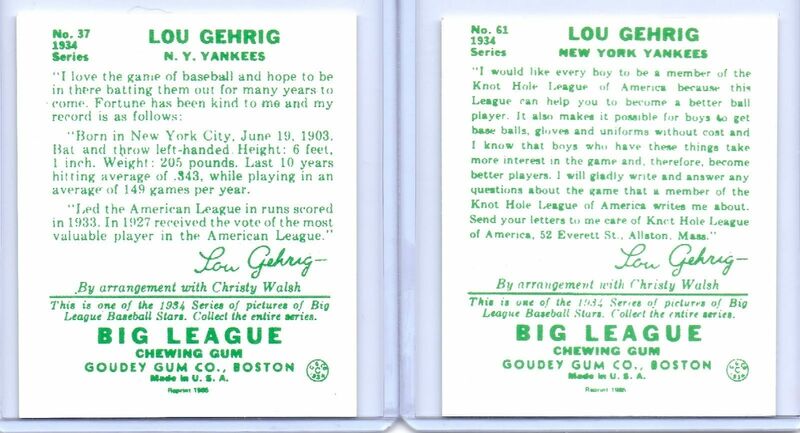 Home » Dave's Big League Card Shop » LOU GEHRIG 1934 GOUDEY "2" CARD REPRINT LOT #37 & #61! YANKEES! THE IRON MAN! LOU GEHRIG 1934 GOUDEY "2" CARD REPRINT LOT #37 & #61! YANKEES! THE IRON MAN!